After five years of operating my Child Care Business from my home, I wanted something bigger. In fact, I knew that I was destined to do business on a larger scale. So I decided read books on how to Operate a Child Care Center and I studied major childcare chains such as Kinder Care and Lapetite Academy. In fact, my mind was on one thing in 2002….Expanding! One day my mother and I were out shopping and we saw an empty building that was formerly a Child Care center. I literally backed up on a very busy street to write down the phone number that was on the sign in front of the building. 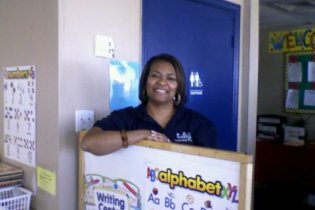 To make a long story short…Within 6 months of signing a lease, I was preparing to move into my first Child Care Center. My dream came true and yours can too. If you desire to expand your child Care Business, you must take the steps (now) to move toward your dreams of expanding from a home based Child Care Business or owning multiple Locations! I was inspired to share my expansion story with you, because In Chapter 2 of my upcoming book, I shared my Expansion plan and how I found the Faith to expand. The book is currently being edited and I want to invite you to get your copy when it is available. So be sure to visit my Inspired Business Woman blog to take a peek at a preview copy of the ebook. When the Book is ready, the book will be uploaded to my ejunkie book store, Amazon Page and on my Inspired Business Woman Blog. So tell me? 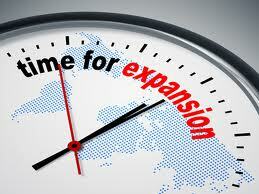 Are you ready to expand your Business? Leave your comment below and lets talk about your dream to expand. Be sure to download my Sample Growth Plan . Discover how to successful manage a Child Care Center, by joining my Center Owner eClub. Ready to Start a Child Care Business, get my ebook 10 Steps to Starting a Child Care Business.